“..I happened to come along in the music business when there was no trend”. • how long it will take and when they will begin. put a completion deadline on it. • how much EVERYTHING will cost. there should be no surprises,or “Oh,by the way’s” or I forgot to tell you’s”,coming back at you. -Why is College radio important to new artists in todays music business. – Old School likes structure and control / New School likes freedom and unlimited opportunities. WHY ?? ” Radio and TV stations buy a blanket license from the P.R.O. the fee is based upon gross revenue to the station and is typically 2.5 %, the more advertising the station sell, the more revenue the PRO collects. There are more than 8500 radio stations in the U.S., so the collection can be very substantial. • -get your music down on CD. • -most important: ENERGY,ENTHUSIASM, DRIVE. • -make the music that moves your soul. • -don’t guess what record companies want. • -try to have a clear vision of what your music is about. -Create a buzz: the more buzz, the less a record company has to use its imagination to see how much fans love your music. YOU GOT TO MAKE IT HAPPEN YOURSELF…. Labels don’t listen to new artists unless they are submitted by a manager or attorney in the business. Many record companies have a no unsolicited music policy. If you send them your cd or tape you can expect to have it go into the trash or if you’re lucky get sent back to you. The reason being is that record companies get tons of material and they just can’t go through it all and because they are also concerned with lawsuits arising from copyright infringement. So, before you send out that cd of yours make sure that the company will accept unsolicited material first and save yourself some time, money and energy. Look through the list of Record companies in the BandRadio Directory and you can see which companies are accepting unsolicited music. -they are very involved in structuring deals and shaping artists’ business lives. -lawyers have a lot of power, and are involved in all areas. Because the time required for each client is less than a personal manager,an attorney can handle more clients. This means an attorney sees more deals than anyone else. Therefore, the attorney knows a lot more companies. Which also means, these companies want to keep attorneys happy. -One of the major things to look for in a lawyer is his/her relationships in the industry. -record companies do not ignore phone calls from important lawyers. -lawyers with good relationships will get your deals done quickly, and get you the maximum. CLOUT. Attorneys have it: BUT the biggest clout is your TALENT. this will go further than any attorney can. -Loose Lips: be careful if a lawyer is telling you about any other client. Never a good sign. -before you enter into any agreement with an attorney, you’ve got to weed out the fast talkers,quick promisers,and “I can do it for you’s”. -first step: compile a list if likely candidates. Then you put each one through your own Pass This Test before you trust them with your time, talent and MONEY. • friends, referrals, and contacts in the business. If they’re in music, they either have an attorney or know someone who does and can get that attorney’s name for you. • trade publication stories naming attorneys involved in deals made or cases won. • mainstream media news or feature stories that involve attorneys. • the internet: search for ‘music attorneys’etc..
• make sure they are not a music/ent. firm in name only.Ask how LONG the firm has specialized in music/ent. and ask to see their client list. • Check out their client list. Make sure it’s current. Some clients may have left years ago, or recently, find out WHY. • Ask for references. Like 3 people or companies who are current clients whom you can contact to get feedback about the work of the firm. • Ask about 3 most recent deals they have made for a client. A reputable attorney won’t mind telling you about recent success stories that he or she is proud of. Dollar amount does NOT need to be discussed. You need to get attorneys to make a written,signed commitment to you that they can be held to. A good attorney will not have a problem with this. The ones who do, should be immediately crossed off the list. The fees can be structured a number a ways in the music and entertainment industry depending on, among other things the policies of the attorney or law firm involved. Also, the nature of the services being rendered, whether or not the attorney secured the interest of the company desiring to sign the writer or writer/artist, whether the representation relates to the negotiation of one contract or a series of agreements, whether the attorney is handling all of a client’s legal affairs or has just been retained for a single negotiation, whether the attorney is being brought in by either a client or a law firm to handle only a specialized aspect of the agreement or to conduct all aspects of the particular negotiation, and whether the writer, or writer/artist is a known quantity who is financially stable or is at the beginning of his or her career, with little money to spend for legal representation. think of attorneys as people who protect you. they are the guard dogs who stand at the gate of your future, and anyone who wishes to enter has to first get by the guard dog. -a legit attorney will have a rolodex of names and contacts that can be worth far more than the hourly fee they charge. Music,like any other business,is all about networking and contacts, and the more people you know who know people who know people, the better you have of getting what you want, and making dreams come true.. Contact me for weekly office hours. Attendance is very important. Absences that are equivalent to two weeks may result in you being dropped from the class. If you must be absent, get lecture notes from another student. Your absence remains unexcused until you talk to me. College policy excuses absences for illness, religious holidays, death in the family or required school activity. All Pasadena City College rules apply to this course. Possible changes to this syllabus can be made (by the instructor) to better meet your needs. However, they will not affect the course goals as outlined in the catalog description. 1. List the careers in the commercial sector of the music field and the basic skills, education, and experience necessary to enter them. 2. Describe the career areas in which he/she is particularly interested and how his/her skills and abilities may be applied in that field. 3. Discuss the various means he/she can use to develop a professional portfolio and market him/herself to prospective employers/agents/buyers. 4. Explain the copyright law and how it applies to the music industry. 5. Evaluate the music attorney-client relationship. 6. Discuss the fundamentals of performing rights societies, personal managers, and unions. 7. Explain the relationships and agreements between publishers and song-writers or composers. 8. Describe the relationships, expectations, and obligations between recording artists, producers, and record companies. Week 1 (1.8.13): Overview of Industry and Course . Review syllabus, preparing for a career in the business. Week 2 ( 1.15.13 ): Putting together a Team. Personal, business managers, how to find them, and which team is right for you. Read chapters 3, 4 and 5. Week 3 ( 1.22.13 ): Roles of Agents, Managers and Attorneys. Assignment 2 – Put together a “Hit List”: Attorneys, Managers, etc. Week 4 (1.29.13 ) : Roles of Attorneys, Unsolicited Material, Copyright Basics. Publishing and Co-publishing. Contracts. Overview of mechanical royalties, creative control. Week 5 ( 2.5.13 ) : Music Industry Survival : How Not To Get Screwed. More on copyrights, publishing. Week 6 ( 2.12.13 ): P.R.O’s, ( performing rights organizations ) Music Licenses, Songwriting.Creating your own company, partnership, LLC, INC. etc. Union pay Rates vs. non-union rates for the Musician. Week 7 (2.19.13 ): Assignment 4 due. Making yourself more visible in the business. Prep for Mid-term exam. Week 10 (3.12.13):Record Deals / Record Companies , Independent Co.
Major labels, independent labels. A&R, Promotion, Masters, Royalties, Advances. Tour merchandising, retail merchandising. How do we get some shirts made for your band? Week 13 (4.2.13):(review assignment 5) The Touring Musician,how to prepare for it. Week 15 (4.16.13 ) Music Education. It has been a pleasure. Make sure you send me an autograph copy of your c.d. 1.Prepare yourself to be in a business by developing a plan. -taking care of short term needs, and long term goals.Make room for regular or steady gigs( keeps money flowing), that contribute to your process.Spend time looking at and experimenting options. Short-term plans make up your to-do list, and long-term plans fills your calendar. 2.Save Money to build a financial cushion, both for personal life and to start the business. 3.Research Music opportunities in your local areas,and especially your competition. Identify target markets and then discover what they need so can you can adapt your music services. 4.Talk to others and learn from their experiences. Make sure you choose somebody you know is successful and carefully dissect the promotional tactics. 6.Practice your skills both music and business. 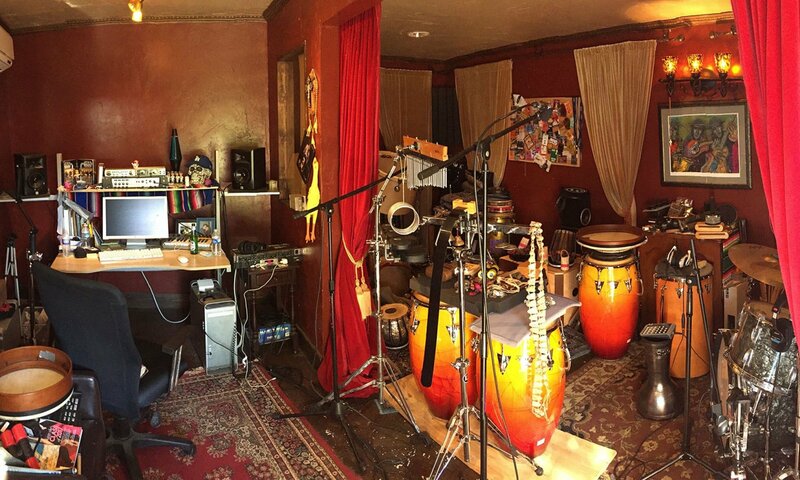 7.Organize your studio,equipment,finances and resources.Good organizations skills are crucial. 8.Prepare your demo and keep it up to date. 9.Always work with passion,no matter what you do. Always put your full self in everything you do. 10.Manage your business effectively and carefully. Always focus on results. six key areas here: sales,promotion, administration,technology,finances and planning. 11.Start right now and do it. Athletes know the value getting your head into the game.Along with physical preparation,comes intense mental concentration. To be successful in the music business you need to bring the same physical and emotional power to the table. 2 sides, creative and logical. You need creativity to serve you well in your musical pursuits. But don’t ignore the logic either. To make it in this crazy business,learn all that you can about how the business works. Desire comes from the heart. Passion provides you the best possible odds to successfully catch and live your dream. If there’s a fire inside of you that won’t burn out unless you achieve your dream? Channel that passion into everything you do. You have to take risks. Whether you have a stomach for it or not. Remember, it’s OK to make mistakes, that’s how we learn and grow as a person and a professional. Vow not to repeat errors and try to limit the downside to every venture. Give yourself a challenge, don’t rest on your laurels. Always push yourself to do better. • how much EVERYTHING will cost. there should be no surprises,or “Oh,by the way’s”or I forgot to tell you’s”, coming back at you. Old School likes structure and control / New School likes freedom and unlimited opportunities. WHY ?? Blanket License ( page 225 DP book ) ” Radio and TV stations buy a blanket license from the P.R.O. the fee is based upon gross revenue to the station and is typically 2.5 %, the more advertising the station sell, the more revenue the PRO collects. There are more than 8500 radio stations in the U.S., so the collection can be very substantial. -mechanical licenses vs. mechanical rate??? Co-Publishing deals: Usually, 50%/50%. are often short-term ‘bird in the hand’ deals. Meaning: you get upfront money, but you give away half of your material. Transfer of ownership and administration are involved, publishing companies are willing to pay significant advances and guarantees as inducements for copub. Deals. They acquire the right to make money by providing administration services, but also acquire equity in the song itself.Work for Hire: giving up complete ownership and all administration rights for the life of the copyright. And in some cases, you are not recognized as the creator of the work. Most common in film and TV work. And also seen in advertising for creation of commercial jingles. Administration : offers more flexibility for the writer and publisher. Ownership is retained by the writer or his designated publisher. The day to day handing of the music copyright is the job of an administator that the publisher has hired. This type a deal also allows restrictions to the administrator. He cannot do anything without the approval of the owner. Typical administration fees are 10%-15% range, but not just on percentages..this job is very important! Songwriting : agreeing to write a certain amount of songs for someone else. That someone will own and administer your songs, usually for the life of the copyright. You are usually induced to enter this type of deal by a regular salary. Also, known as the 9 to 5 of songwriting. MB students: here’s a great article I just read regarding what we talked about in class this past tuesday ! I am not the first person to write about this topic, but with the recent ruling by a federal judge reducing LimeWire’s possible copyright infringement damages from 1 trillion (no, I am not kidding), to a possible 1.5 billion dollars, I thought it important to bring up again. In the US, courts have ruled that peer-to-peer file sharing services like the original Napster, LimeWire etc are infringing on a record label’s copyright and can be sued for damages. LimeWire, just like the original Napster, was sued by a consortium of labels (predominantly the major labels) for infringing on the labels’ copyright by allowing people to use the LimeWire software to distribute and download the labels’ recordings for free. Although damages for the LimeWire case are not set to be awarded until May, 2011, and there most likely will be legal appeals before the dust settles, at some point some money will be paid to the labels by LimeWire. Now here’s the really important point:When an artist signs to a record label he or she transfers his or her rights to the label. Because of this rights transfer, the copyrights to the recordings of the songs are exclusively owned or controlled by the labels. This same concept applies even if the artists license his or her recordings to the label. With a license there is an exclusive rights transfer for those recordings for the duration of the term of the license. Therefore, the band gets no money from these damage payments and/or settlements as this is money collected on copyright infringement, not on revenue made by licensing or selling the music (which the band does get paid on). Or said another way, of the hundreds of millions of dollars paid to and collected by the labels for copyright infringement, not a penny has gone back to the artist. The labels position is, as per the contract, bands get paid a % of the money collected from the sale or license of the music. There is nothing in the agreements that also states that bands get to make money from entities infringing on the copyright of the recordings. Despite this position making logical legal sense, I can’t help but think it’s just plain wrong. I wish I could provide a concrete legal reason as to why, but I cannot. Suffice it to say, paying the bands some portion of this money is just the right thing to do. The importance of this issues ties into TuneCore’s mission for 2011; to arm artists with the knowledge that enables them to make informed decisions, control their rights, make money, and pursue their passions on their own terms. To coincide with this, we have already begun to build and launch a global system that, with your permission, enables TuneCore to get and pay you your money already sitting with public performance organizations around the world. of Music Publishing Administration. There will be more announcements coming shortly. In the meantime, though we may sound like a broken record, we cannot stress enough the importance of arming yourself with knowledge, learning the basics of copyright, and understanding the issues. These tools will allow you to make the best decisions to achieve your musical goals. BELOW YOU WILL FIND HELPFUL ARTICLES ,INFORMATION, STATISTICS, LOTS OF INFORMATION THAT IS USEFUL IN THIS CRAZY MUSIC BUSINESS. ENJOY! this is a great article on the comparison of record selling years..
You’ve all been reading about the plunge in album sales this year, a total of 15%. But if you think sales are dropping across the board, on a strict percentage basis, you’re wrong. The best sellers are taking a disproportionate hit. In other words, they’re just not selling THAT WELL! Sales in 2007, including both physical and digital, topped out at 500.5 million albums. The peak year was 2000, when 785 million units were sold. So, you’d expect sales of best sellers to drop by approximately one third, or 36.25%, to be exact. So, the drop from number one over the past seven years was a whopping 62.77%! Number two: also a 62% drop. In other words, best sellers aren’t selling tonnage! They’re outpacing the decline of the industry SIGNIFICANTLY! The major label scorched earth policy of overexposing an album to ubiquity seems to be less effective than EVER! It’s not like Josh Groban didn’t get TV exposure. Hell, he was featured on Oprah. But it was not like ‘N Sync being all over MTV, back when the “M” stood for music and the outlet banged videos AND PEOPLE WATCHED THEM! Eminem was a cultural phenomenon. But today you’re famous for your antics, not your music. And your antics don’t sell records. Just ask Paris, Lindsay or even Britney. TMZ and PerezHilton will reach a lot of people, but they’re not about music. Funny, vapid rock still sells. Creed was at number four in 2000 and Daughtry is at number five in 2007. Anybody who says rock is dead… Well, meat and potatoes rock is alive and kicking. There’s not even a hip-hop album in the Top Ten in 2007. And the boy band genre is kaput. But is this steep sales decline amongst best sellers about the lack of fads, or of stars, or just an indication that society has changed, that in the Net era, everything is niche. You’re lucky to gain a foothold. Hold on to your fan base, maximize the revenue there, because it’s going to be damn hard to convert the casual fan…BECAUSE HE’S JUST NOT PAYING ATTENTION! You’ve got hundreds of TV channels. Endless movies in the theatres and on NetFlix. The infinite Web and hand-held mobile devices. It’s just impossible to reach everybody. Marketers realize you can have an ad on network television and a great percentage of the public can be IGNORANT OF YOUR PRODUCT! People still want music. In prodigious amounts. They just don’t all want the same thing. This is bad news for the major labels. Starting in the seventies, with the Eagles, Fleetwood Mac, and Boston, the labels counted on the breakout superstar to make their numbers, to pay for all the failures. Well now that paradigm is done. You just can’t sell that many of ANYTHING! Albums have to pull their own weight. Saturation marketing moves very little. You’ve got to find something that resonates with a portion of the public and then hope people spread the word. Piracy is hurting the record business. But that’s not the only thorn in the side of the major label. It’s not 2000 anymore. We don’t live in one homogenous society, everybody paying attention to the same thing. We live in an era of endless narrowcasting. Although the majors still believe we live in an era of broadcasting. And that’s hurting them. So, if you’re operating on a smaller level, if you’re not swinging for the fences, there’s still a market out there for you. Don’t overspend, know it takes time for people to catch on to you. And know that being as big as the Beatles, even the Backstreet Boys, is presently an impossibility. All the structures built upon superstardom… The majors, LiveNation… They’re in trouble. Their only hope is to go niche, to try and find quality that resonates and build slowly for the long term. But they don’t want to do this. Because it’s too hard to earn money this way. Leaving the field wide open for entrepreneurs. check out this link: make sure you watch the video ! For bands and artists signed to major label contracts, we have some reservations about just how much they will benefit financially from iTunes. While we would expect that Apple will faithfully pay the labels their appropriate portion for each song sold, just how much money will end up in the artists’ pockets? That answer is contingent on the contract that the artist signed with the label. So now the artist gets 10 to 14 percent of this price — or somewhere between $0.86 and $1.20 — per retail sale. And, of course, artists only get this money AFTER they’ve recouped the costs of making the album which, in many cases, never happens at all. [note: This is a simplified version of things using averaged figures and not dealing with other common deductions like “free goods” and “reserves”. For a more nuanced explanation we suggest you read Donald Passman’s All You Need To Know about the Music Business]. …thus making all of those ridiculous deductions listed above even more pointless. So, in theory, musicians signed to major labels should be getting 100 percent of their 10 to 14 percent royalty rate since all of those antiquated deductions are totally illogical. But even at that price, these standard contracted rates seem dismally low. If the same contract terms apply to digital sales as terrestrial sales, at the $9.99 retail price for albums on iTunes, an artist would get somewhere between $1.00 and $1.40 per sale. For a 99 cent single download, an artist would get 10 to 14 cents. Once we open this digital can of worms there are other contract clauses that may affect the rate at which you’re paid. Will the major labels try to say that electronic transmissions are a “new technology” that, like CDs, kicks in a 25 percent deduction per sale? Will the labels consider online album sales as “top-line” sales, or does the price of $9.99 mean that it’s considered a “discount” sale? If it’s a discount sale that may mean you only get HALF of your contracted rate (5 to 7 percent from our example above). We’ll have to wait and see. With the music industry shifting towards digital distribution, now is the time for artists, managers and advocates to push for major label contract reform on the calculation and payment of digital distribution royalties. In addition, while the iTunes Store is considers the transactions sales, there is some discussion amongst artists that it might actually be a licensing agreement, which in most cases would be much more advantageous for musicians royalty-wise. We urge major label musician to ask their label representatives about the rate they’re getting for digital download sales and what deductions, if any, apply. If it’s in alignment with their terrestrial sales, think about renegotiating for a higher rate for digital sales. With no deductions for shipping, storing, breakage, packaging and returns, the marginal costs of selling songs through digital download services is almost nil. As a result major label artists should demand to be compensated for these sales at a unique and higher rate. I had the opportunity to attend a panel discussion at the House of Blues . The panel was put together by author/attorney,Donald Passman. The panel consisted of negotiations of co-publishing agreements by: Kenny MacPherson, Jill Berliner ESQ, and Michael Lippman. Kenny MacPherson, President and Senior Executive of Chrysalis Music Division North America, Kenny MacPherson presides over one of the most diverse independent music companies in the US. Jill Berliner, represents some of todays top artists . Michael Lippman’s thirty year career started as an entertainment attorney and included three years as Vice President and General Manager of West Coast Operations for Clive Davis’ Arista Records. It was extremely informative, the process of an artists career from the beginning. Including touring expenses,involvement in music for films (for the artist) etc..
statutory rate: 2006-2007 is 9.1¢ per song 5 minutes or less in length. OR 1.75¢ per minute if over 5 minutes in length. The American Federation of Musicians is part of the musicFIRST coalition, a group of artists and performers who have joined together with the goal of achieving a full performance right for musicians in the United States. Currently, musicians are not compensated when their songs are played on terrestrial radio, only the songwriters are. The United States is the only industrialized Western nation not to grant musicians a full performance right. We believe it is time to end this inequity by lobbying Congress to pass legislation that grants musicians a full performance right, so that they are paid every time their work is broadcast on commercial radio. This will in no way impact on songwriters; they would continue to receive royalties. The musicFIRST coalition has set up a website with helpful sections explaining the issue in great detail and demonstrating how important a full performance right is to musicians. There is also a musicFIRST podcast which has so far featured AFM President Tom Lee, AFM International Vice President Harold Bradley, and AFM member Bruce Bouton discussing why they believe a full performance right is vital for American musicians. The link for the podcasts is http://musicfirstcoalition.org/#/media/press-releases/?press=0. We urge you to visit the music FIRST webpage at http://www.musicfirstcoalition.org and keep up to date and the podcasts and the status of performance rights legislation. best of the best from my Music 93 class: thank you for the work..